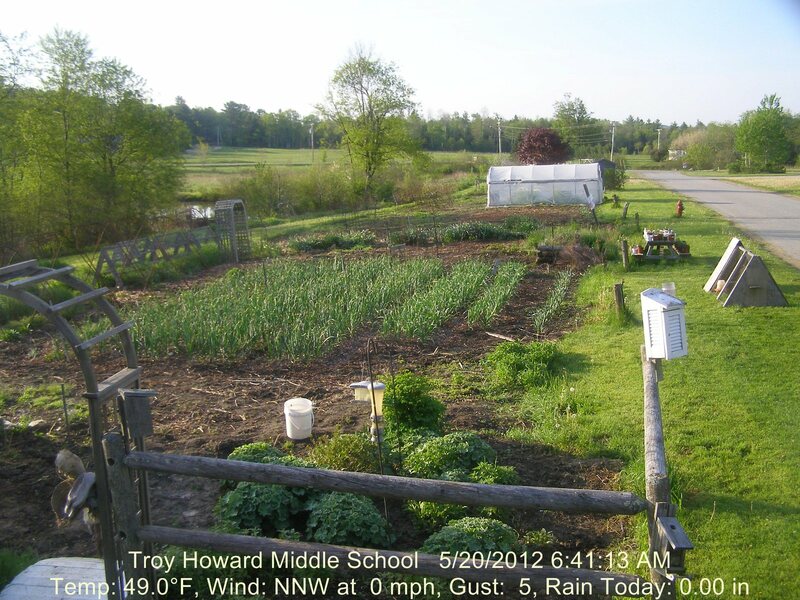 We planted four varieties of garlic last October in our beautiful clay loam soil. Early signs of green shoots began when the snow usually covers the garden. The kids had to coax a few through the shredded leaf mulch but they were going gang busters by the end of march. Now the porcelins are two feet high almost blue and the racamboles are a beautiful shade of light green in comparison. We hope to harvest 1000 heads this summer and our prediction is that it will be earlier in July than usual.